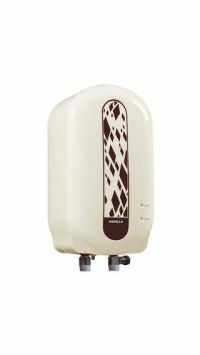 Havells Neo EC 3KW water heater is a very comfortable and essential appliance to have in winter. It comes with adjustable knob for variable temperature setting. It also comes with various features like rust and shock proof ABS body, extra thick SS inner tank for longer life, Ideal working with high rise buildings & pressure pump installation, Fire retardant ISI mark supply code without plug top etc. To Recieve updates and possible rewards for Havells Neo EC 3L White please sign in. To Recieve updates and possible rewards for Geyser/Water Heater please sign in.